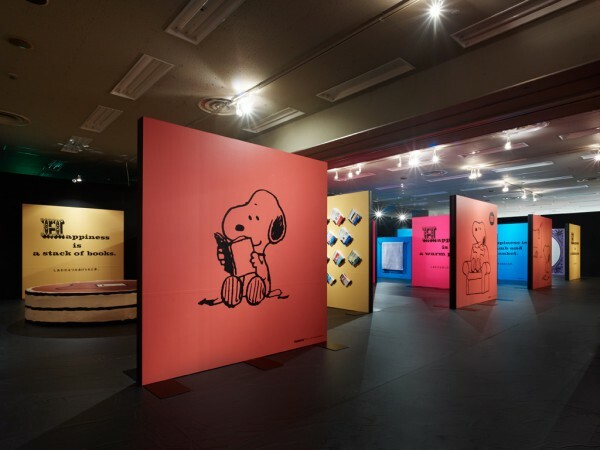 WORKS / "Happiness is SNOOPY"
We designed the venue for the “Happiness is SNOOPY—Snoopy’s Pursuit of a Piece of Happiness Exhibition—” that was held at Ikebukuro Sunshine City. 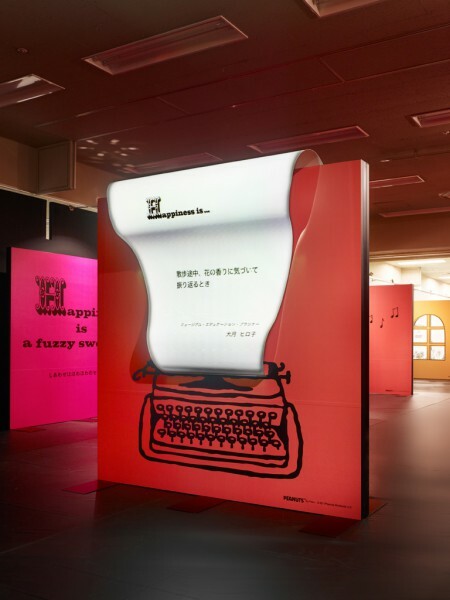 For this exhibition, we proposed a site where every corner is made up of the scattered pages of a picture book titled “Happiness is a Warm Puppy”. The panels have different graphics on each side, and each corner is delimited by panels of the same color. 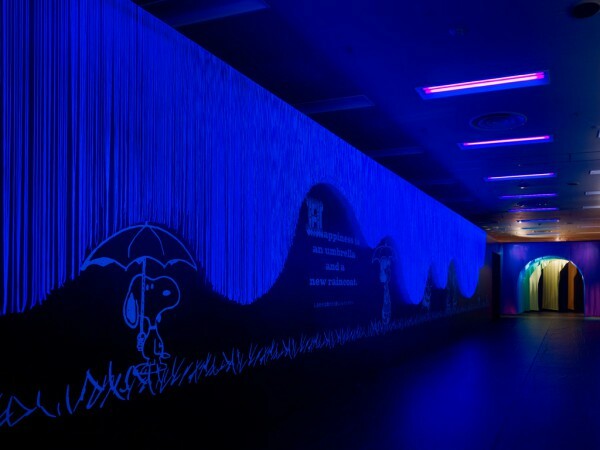 Visitors experience its contents by moving through the site as the colors that fill the space around them change, like flipping through the pages of a book. 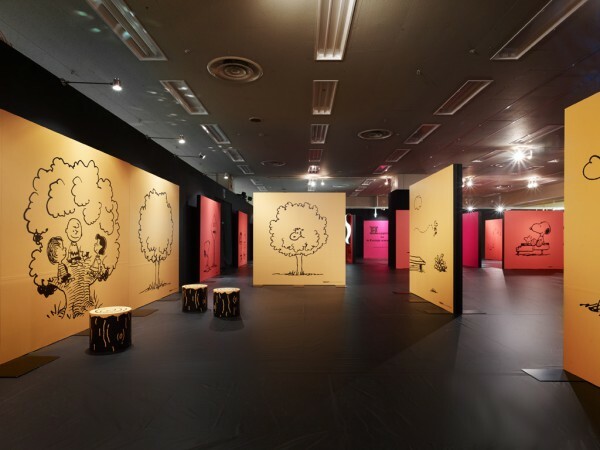 The front and back of the panels have been built to come apart at the end of the exhibition before embarking on a nation-wide tour in order to accommodate changes in layout, varying number of corners and order, etc., at each site. 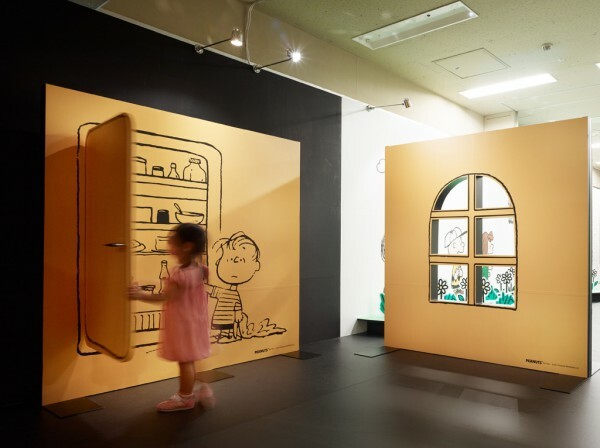 By bringing its original graphics into play and adopting simple and flat contents, visitors are given the feeling of stepping into a picture book. 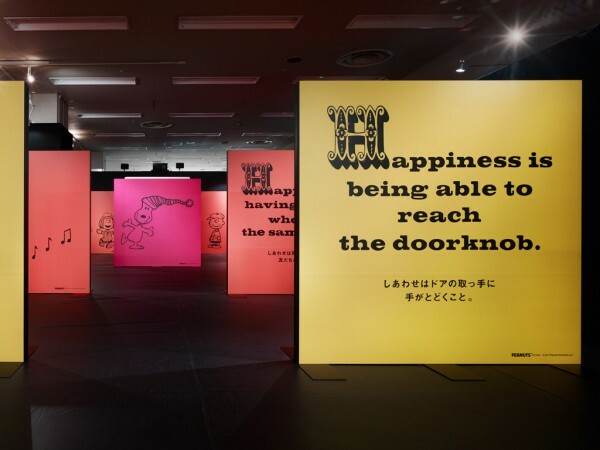 We envisioned an exhibition where everyone is free to explore the site and discover, as the theme suggests, a “Piece of Happiness” to bring back home.